Dr. Craig Curry joined our staff as Senior Pastor in May 2016. He grew up in Texas, and is a fifth generation Baptist minister who is passionate about God’s Word. Craig was led to Christ at an early age, and as a fifteen year old, committed his life to Christian service. Craig received a Bachelor of Behavioral Science from Hardin-Simmons University, in Abilene, Texas, with a major in Speech Communication and a minor in Church Ministry. He received a Master of Divinity in Spiritual Care and Preaching from Logsdon Seminary, Abilene, TX, and a Doctor of Ministry from George W. Truett Theological Seminary in Waco, Texas. Craig married his ministry teammate, Fallon Smith Curry, in January 2003. Fallon received a Bachelor of Arts in English/Leadership from Hardin-Simmons University in Abilene, Texas, and a Master of Arts in Christian Education from Dallas Baptist University. She is currently an Instructor of English Composition and Literature at Ranger College in Ranger, Texas. Craig and Fallon have three children: daughter, Lylah, and sons, Shepherd and Herschel. Fallon is a dedicated wife, mother, and instructor. Her ministry passions are missions, evangelism, education, and Baptist heritage. Dwayne Weaver graduated from Texas Tech University in 1977 with a Bachelors degree in physics. Dwayne has worked on the engineering side as well as business sides of companies, including Schlumberger Well Services as an engineer, District Manager, and Division Sales Manager. Numar Corp.
Dwayne started his own company in Houston in 1998 called Nu-Tech Energy, where he served as Executive Vice President. Dwayne retired in 2011. Dwayne and his wife Dana have been married for 43 years and have two children, Amanda and Adam, and two granddaughters, Audrey and Lana. Originally from Garland, Texas, Steven joined our staff in November 2013. He previously served as Minister of Music and Senior Adults at First Baptist Church of Terrell, Texas and Minister of Music and Administration at First Baptist Church of Robinson, Texas. Steven holds a Bachelor of Music Education degree from Baylor University and a Master of Music degree (Church Music concentration), also from Baylor. Steven and his wife, Melanie, have two daughters, Lexi and Lily. Tommy Shumate has been on staff at First Baptist Plano since October 2008. He is a native of Jackson, Mississippi, where he earned the Bachelor of Science degree in Business Administration from Belhaven College; the Master of Arts degree in Religious Education from Southwestern Baptist Theological Seminary in Fort Worth; and completed a unit of Clinical Pastoral Education through Baylor University Medical Center in Dallas. He leads the educational ministries of the church, including Sunday morning Bible studies, small groups, discipleship, and outreach. Additionally, he coordinates Men’s and Women’s ministries, church calendaring and program/ministry scheduling. 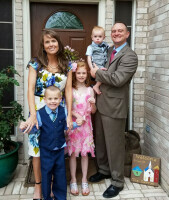 He has previously served First Baptist Church, Richardson as Minister to Single Adults; First Baptist Church, Lewisville as Associate Pastor/Minister of Education; Parkway Hills Baptist Church, Plano as Executive Pastor; and First Baptist Church, Decatur, Texas as Minister of Education/Administration. Tommy and his wife Melissa have been married since 1982. They have two adult children, Abby (husband, John) and Alex. Additionally, they have two grandchildren, Denton and Rhett. Jeff joined our staff in January 2013. He earned his Bachelor of Arts degree (Youth Ministry and Youth Education) from Howard Payne University in Brownwood, Texas and his Master of Divinity from Southwestern Baptist Theological Seminary in Ft. Worth. Jeff has served in youth ministry in both Texas and Colorado. Jeff and his wife, Meredith, have three daughters, Dellarae, Norah Ruth, and Emy, and a son, JW. 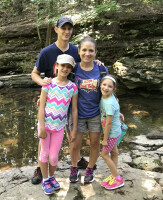 Rachel has been in the ministry for 13 years, serving at Haltom Road Baptist Church first as the Children’s Minister and then as the Minister of Music and Children. Prior to ministry, she taught orchestra and elementary music in Arlington I.S.D. She received a Bachelor of Music Education from Texas Christian University and a Master of Arts in Worship from B.H. Carroll Theological Institute. Rachel is currently pursuing a PhD in Leadership (Ministry) from Dallas Baptist University. She is a Peer Group Leader for the Texas Baptists for Women in Urban Ministry and is also a lecturer in worship for B.H. Carroll in their diploma program. 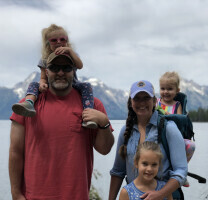 Psalm 78 says to “tell the next generation the praiseworthy deeds of the Lord, His power, and the wonders He has done.” Rachel is passionate about leading the next generation to know Christ and guiding families to develop a lifestyle of worship and missions. Rachel is married to her college sweetheart, Toby, who is the Head Director of Orchestras at Paschal High School in Fort Worth. They have two children, Grace (10) and Olivia Ruth (7). Dr. Kent Parks, President & CEO of Act Beyond (formerly Mission to Unreached Peoples) served with his wife, Erika, in SEAsia for 20 years, working mainly as strategy coordinators among Muslim unreached people groups (UPGs) of Southeast Asia. Kent has also developed trans-national, trans-denominational networks at various levels. He is the Co-Facilitator for Ethne—ethne.net—(a global network of UPS-focused leaders), is part of the World Evangelical Alliance Mission Commission, and is Senior Associate for Least Reached Peoples with Lausanne Committee on World Evangelization. Kent pastored in Texas for seven years before going to the mission field. He earned his B.A. in English and History from Hardin-Simmons University in Abilene, Texas as well as his M.Div. and Ph.D. from Southwestern Baptist Theological Seminary in Fort Worth, Texas. Kent and his wife Erika have two adult daughters. Erika Parks serves as the Director of Training for Act Beyond. Along with her husband, Kent, she served in SEAsia for 20 yrs, working mainly as strategy coordinators among Muslim unreached people groups (UPGs) of Southweast Asia. She is gifted in discipling and has trained many disciple-makers throughout her years in SEAsia. As the Director of Training for Act Beyond, Erika has planned and coordinated numerous church planting movement trainings around the world. She has previously served in roles relating to new workers and language students as well as educational consultation for former missions organizations. Erika holds degrees from Valdosta State University in Georgia (B.S. in Elementary Education) and Southwestern Baptist Theological Seminary in Fort Worth, Texas (Master of Religious Education). Erika and her husband, Kent, have two adult daughters. She attended Northwest Christian University in Eugene, OR with a major in Early Childhood Education. Stacey's background includes working as a childcare coordinator, with a primary focus on Early Childhood and Preschool, at Murray Hills Christian Church in Beaverton, OR. 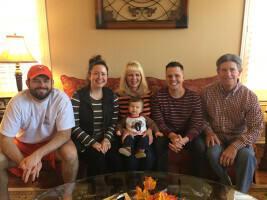 She has also worked as a teacher in First Baptist Plano's Parent's Day Out and Weekday School programs, and currently with Lionheart Children's Academy at First Baptist Plano.